The Brazilian shot-stopper has been a calming presence between the sticks for the Reds. 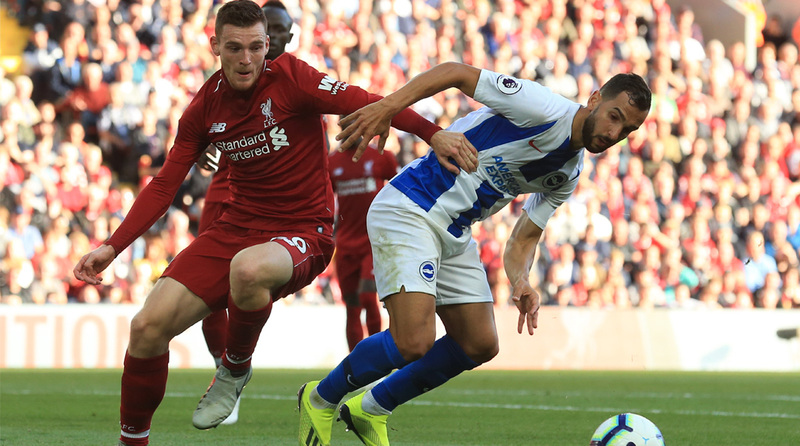 Liverpool fans can’t stop raving about Alisson’s performances and it appears that Andy Robertson, the Brazilian’s teammate, has joined the bandwagon as well after the shot-stopper’s excellent display in the 1-0 win over Brighton & Hove Albion on Saturday night. “He’s been brilliant since he came in. It’s no disrespect to Loz (Loris Karius) or Si (Mignolet), but he’s been brilliant since he came in and I’m sure the lads said the same with the other keepers when they first came in,” the Scottish left-back told the club website. Alisson made a number of superb stops, notably in the second-half, but it was his calm dink over an onrushing Brighton player that drew gasps from the Anfield crowd. So far, Liverpool have not only won all three of their Premier League games, but they have kept a clean sheet in each of them as well. For a side that was criticised for their leaky defence, that is a remarkable improvement and one of many reasons why many feel the Reds can go all the way this season. With the first international break of the season ensuing, Liverpool will next be seen in action when they visit Leicester City on September 1 for a Premier League clash. Brighton & Hove Albion A.F.C.